For resolution of complaints relating to the Income Tax Department like an overdue refund, one can approach the Income Tax Ombudsman. 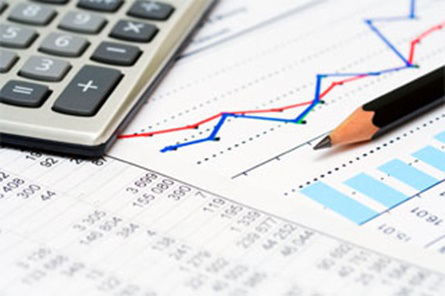 The Ombudsman is autonomous and hence independent of the jurisdiction of the Income tax department. Most of the complaints with the Ombudsman are disposed off fairly quickly, and the assessee should not be afraid of any backlash from the ITO. Before making a complaint like overdue tax refund, please check online (http://www.tin-nsdl.com) or email (refunds@incometaxindia.gov.in) or at the IT call centre (1-800-4252229 or 080-43456700 or 080-22546500, from 8 am to 8 pm, Monday to Friday). Specific reasons for delay of your tax refund could be an incorrect bank account information or incorrect address information. Non adherence to prescribed working hours by Income Tax officials; unwarranted rude behaviour of Income Tax officials with assesses; or any other administrative matters. However, the Ombudsman will not interfere in the proceedings if the issue requested to be settled is already under an appeal, revision, reference or writ by any Income-Tax authority or Appellate authority or tribunal or court. Technical issues like re-computation or deductions are matters for the Appellate channel. The Ombudsman will also not take cognizance of the complaint, if it has been the subject matter of an earlier settlement made by the Ombudsman. The applicant must first complain in writing to the Income-tax Department authorities (Assessing Officer, Additional or Deputy Commissioner), with the relevant details like mentioning the official being complained against, etc. There is also a local or regional Grievance cell under the Chief Commissioner or Director General of Income Tax. If there is no reply within 30 days, the complainant can approach the office of Ombudsman. If there is an unsatisfactory reply from the IT department, complaint to the Ombudsman has to be done within one year of receiving reply. The person himself or through his authorized representative, can make a complaint against the Income-tax official in person or in writing to the Ombudsman. If complained via email or online, then print-out must be signed and send to their office. If the grievance has been caused by an official lower in rank than an Income Tax Officer, then the complaint can refer to the Income Tax Officer who is in-charge of such official. The complaint should not be frivolous in nature. 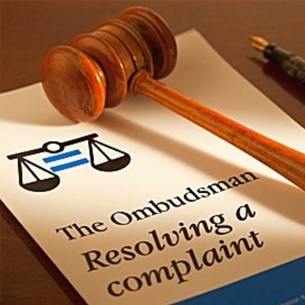 The Ombudsman then sends a notice, along with a copy of the complaint to the Income Tax Authority complained against and endeavours to settle the complaint through conciliation or mediation. The Ombudsman is not bound by any legal rules of evidence and may follow procedures that appear to him to be fair and proper for settlement of the complaint. The proceedings before the Ombudsman are summary in nature. If a complaint is not settled by agreement within a period of one month from the date of receipt of the complaint, the Ombudsman may pass an award after allowing the parties reasonable opportunity to present their case. The award passed is a speaking order consisting of directions to the concerned Income Tax Authority such as performance of its obligations like expediting delayed matters; giving reasons for decisions; issuing apology to complainants; a token compensation amount not exceeding Rs. 1000/- (from the Head Office budget account) for the loss suffered by the complainant etc. Award cannot affect the quantum of tax assessment or imposition of penalties under the Income Tax Act. The award is binding on the Income Tax department. A copy of the award is sent to the complainant and the Income Tax Authority complained against. If the complainant does not furnish his letter of acceptance within 15 days to the designated IT officer, the award shall lapse and be of no effect. The Income Tax Authority complained against should, within one month from the date of the award, comply with the award and intimate compliance to the Ombudsman. To furnish a report every year to the Secretary, Department of Revenue, Ministry of Finance and the Chairman, CBDT, compiling a list of awards, reviewing the quality of the working of the Income-tax Department and make recommendations to improve the tax administration by identifying issues that increase the compliance burden or create problems for taxpayers. You can also make an RTI application to the Commissioner of Income Tax, asking for status of your refund order. On the recommendations of a Committee consisting of the Secretary, Department of Revenue in the Ministry of Finance, the Chairman and Member (Personnel) of Central Board of Direct Taxes, the Central Government appoints the Ombudsman. Ideally, he is a serving officer of the Indian Revenue Service (Income Tax). There is also an Ombudsman for indirect taxes. Please use this information as a guide but NOT as a replacement for legal opinion. The information is compiled from various sources like Income tax website of GOI and personal experience of the author.